Understable long range driver with great glide. Superb downwind distance driver. The Katana is built with the finesse thrower in mind. Recommended downwind driver. Hit the angle right and watch it bolt out of sight. The physical characteristics resemble a Boss with the flight characteristics of a Sidewinder on steroids. Master the technique of Katana and rule the course. 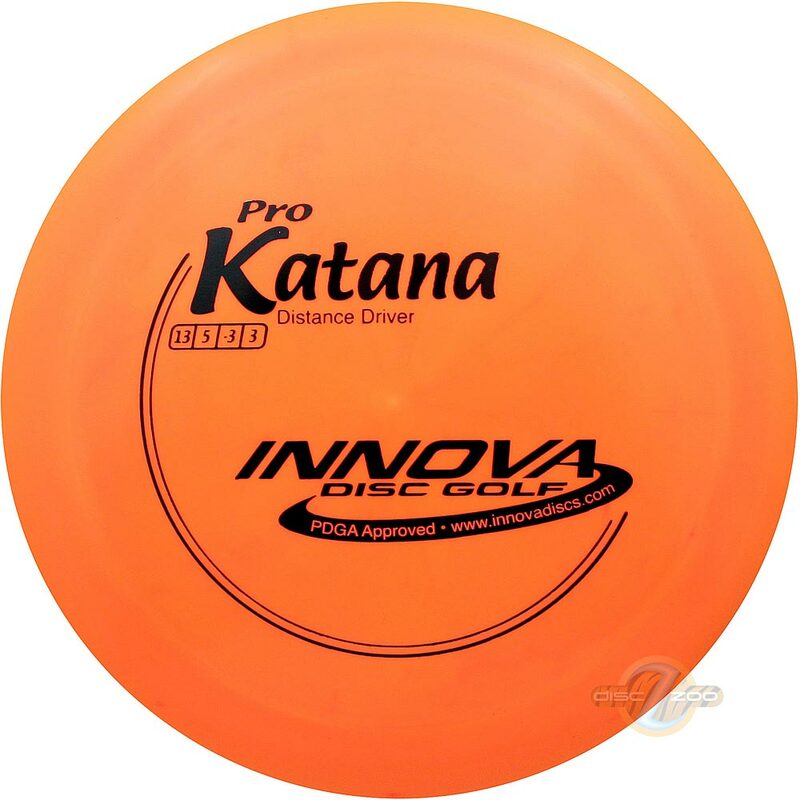 The Star Katana is the best side-arm disc I have ever thrown. The stability is perfect for maximum distance. It is excellent for long-distance rollers. This is one disc that has earned a place in my bag.